much love, illy: WINNER of the Along for the Ride giveaway!! did you win?!! 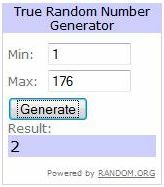 WINNER of the Along for the Ride giveaway!! did you win?!! you wanted to win this giveaway, didn't you? seriously, laura has some goodies so i do not blame you! Amber of the Pless Press!!! to laura and you can finally get your hands on that sweet shop credit! thank you for such an amazing giveaway, laura!